The Mythic Dungeon International’s Spring Season has kicked off, and we wanted to tell you a little bit about the teams that made the top 8 this week and onto the weekend broadcast. 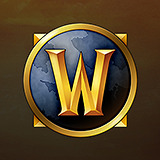 Broadcasts start Saturday, April 13th at Twitch.tv/warcraft - Head over to our MDI Spring Viewer’s Guide to check out the broadcast times for your region! Method EU is the only undefeated team so far this MDI, having not dropped a single map the entire bracket. The whole division will be looking to see if somebody can take a dungeon from them. Team Abrakeydabra is returning strong this week, taking the #2 spot from Method NA with a fantastic Temple of Sethraliss run. Can they also pull a magic trick and overtake them in points too? Method NA is once again the top NA team, with very impressive times on Temple of Sethraliss and Motherlode. Both Method teams are on opposite sides of the bracket from each other again this week – could we see another Method vs Method Final? Fourty K has made a small change to their roster, bringing on veteran Lophis. With any luck they'll be able to Thunderclap their way to 40k dps. It's over, dude. Team Learn to Fly is soaring high again this week as the #2 team from NA. In addition to being a great song, their team name is in reference to the BFA Beta, when they ran dungeons with Chinese players. Despite the language barrier, they were able to pickup some strats and phrases; whenever a player would do crazy-high damage the players would say they’re “flying”. Leech Boys is one of two teams joining us on broadcast for the first time. They earned their name from their tank, Revofevi, who has a “LEEEEEECH BOYS!” /yell macro on his Consumption spell. The second team making their broadcast debut is Eligible Gamerdads. The “Gamerdads” part is because they've got full-time jobs and limited practice time. The number of actual dads on the team is yet to be determined. Remember, you can always keep track of how teams are performing in the Time Trials for both MDI West and MDI East thanks to our friends at Raider.IO – they’ve been working very hard to make sure you can stay up to date!